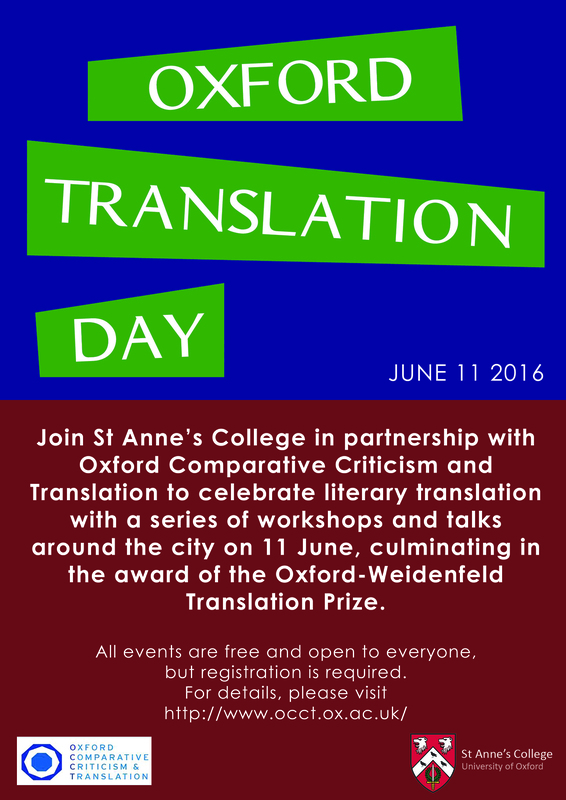 On June 11th, St Anne’s College will be running Oxford Translation Day, a celebration of literary translation consisting of workshops and talks throughout the day at St Anne’s and around the city, culminating in the award of the Oxford-Weidenfeld Translation Prize. Our programme includes a range of events which are all open to the public, providing students, translators, publishers, writers, and anyone interested in languages with the opportunity to discover and discuss literary translation. All events are free and open to anyone, but registration is required. Please see the website for our full programme and registration info.